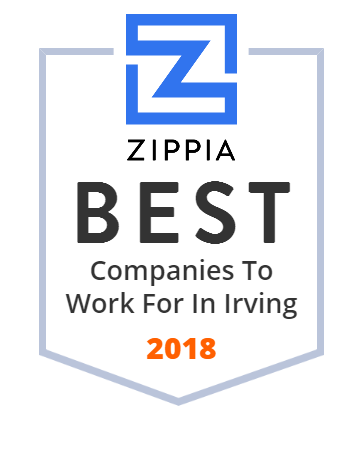 We hand-curated a list of the best companies to work for headquartered in and around Irving, TX using data on salaries, company financial health, and employee diversity. Epsilon, founded in 1969, is a global marketing company that provides data intelligence, customer insights and world-class technology to get the results its clients require and help drive business growth for brands. The company serves customers in automotive, business-to-business, consumer, packaged goods, financial and insurance, healthcare, non-profit, retail, and other industries. Headquartered in Irving, TX, Epsilon employs over 8,000 associates in 70 offices worldwide. Caliber Home Loans, Inc. The firm is owned by affiliates of private equity fund managers Trillian Fund and Lone Star Funds. Vistra Energy is a premier Texas-based energy company focused on the competitive energy and power generation markets. Nexstar Media Group, Inc. is one of the world's leading diversified media companies. Nexstar owns, operates, programs or provides sales and other services to 174 television stations and their related low power and digital multicast signal. The company also brings services and value to consumers and advertisers through its television, digital and mobile media platforms. Its digital solutions and services are delivered to local and national media companies, advertisers, agencies and brands. Reata Pharmaceuticals, Inc. is a pharmaceutical company based in Irving, Texas.